In this blog, I would like to compare and contrast Debt Mutual Funds and other traditional Fixed Income products. In my earlier note on decoding the jargons, I had briefly explained about Debt MFs which you might want to refresh before reading further. 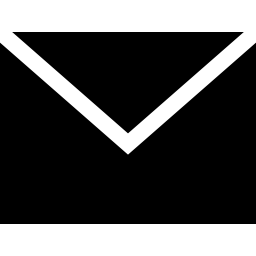 Traditional fixed income products include bank deposits, postal deposits, company deposits, PSU bonds, government securities et al. When I refer to bank deposits, it covers the umbrella of products including savings A/c, Term deposits with various maturity periods, tax savings deposits, recurring deposits, senior citizen deposits, Government schemes administered by banks like public provident fund, senior citizen savings scheme (SCSS, different from senior citizen deposits), girl child benefit program (SSY). Fixed income schemes from Nidhis, Chits (Saradha), gold jewellers’ schemes (Balu, Devi), benefit funds (Royapettah and Alwarpet) and even some company deposits have defaulted in the past. At the same time some of them are operating well with prompt interest and principal payments to investors. A large number of NCDs (non-convertible debentures) have been issued in the past and even as recently (L&T Finance NCD which got oversubscribed) as 2 weeks. This would continue as long as investors have faith and appetite. An instrument that is rated “AA+” by a rating agency (CRISIL, CARE, ICRA, India Ratings) and pays an interest rate of say 10% per annum definitely sounds attractive as a bank will not pay more than 8% in the current scenario (ignore exceptions). Assuming that such a company defaults in repayment of interest or principal, rating agency is not going to take care of the investor interest. The IL&FS is a classic case where AAA rating moved swiftly to default and flummoxed everyone. Now, let’s look at the case of Debt MFs. Several fund managers from some best of the fund houses had taken exposure in IL&FS and their values were marked down, resulting in their 1, 3, 6-months and 1-year fund returns turning negative. So, as an investor will you be able to withstand a situation like that is something that you need to make up your mind. This does not mean that your returns will be negative overall as typically these are funds where the investors are expected to stay put for 3 years (to get the tax advantage through indexation). The fund manager will definitely make it up and the chances of getting a negative 3-year return is almost nil. But, if you pull out in panic or you have a contingency and need the fund, then you might have to compromise on the returns. However, IL&FS has dented even a liquid fund and an ultra short-term fund, that are supposed to be safe, to a 1-year negative return. So, how do we decide on good funds with the limited information that we have? 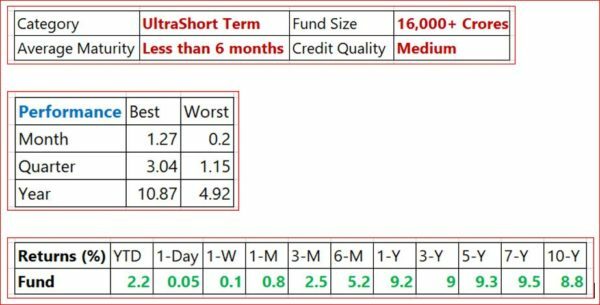 If we take the scenario of short-term debt funds like liquid, overnight, ultra-short, money market, low duration where the investment duration varies between a day and a year (defined clearly by SEBI), the chances that the returns will turn negative is relatively less (and not “nil”). Within this set of fund categories, if we focus on parameters like the size of the fund (larger the better), level of diversification, portfolio composition in terms of rating (% of AAA, AA, A1+ rated instruments), long term track record, the chances of picking a loser is less. Returns in the range of 6%+ even for short periods of 1 week+, which is approx. 2% plus compared to what we get in bank/postal deposits. Tax efficient, when withdrawals are made for cash flow requirements as the withdrawn amount has a component of principal and capital gains, unlike interest component in Banks/Postal deposits. We are not talking about capital erosion in all cases and only negative returns for a certain period time which might be made up in a short time frame (happened with several cases in the past). If I can take an example to explain: Assume that an amount of 1 lakh is invested for 3 months and the expected return from the fund is 6%. The fund value goes up to 1,00,500 by end of month 1 and in month 2, it returns a negative 0.25% (-3% on an annualized basis), and again makes up positive 0.75% in month 3. You will end up with a positive return of approx. 1,01,004/- on your investment over 3 months. I am attaching the profile of one of our favourite short-term funds which we have recommended for a lot of investors and I personally have significant investment in this fund, for my cash flow requirements. The fund scores high on size, returns over 10 years are fabulous, no history of even a 1-month negative return, comes from a top fund house and managed by one of the best debt fund managers in the Industry. However, the credit quality of the holding is mediocre. But given that all other parameters are great, I feel that it’s worth the risk.